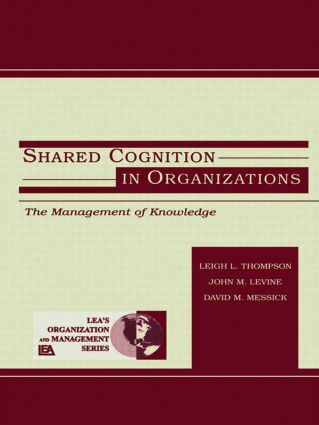 Written for those interested in the topic of "shared knowledge" in organizations, this edited volume brings together a variety of themes and perspectives that emerge when multidisciplinary scholars examine this important subject. The papers were presented at a conference designed to bring together behavioral scientists who were interested in the creation, conversation, distribution, and protection of knowledge in organizations. The editors bring together a distinguished group of social psychologists who have made important contributions to social cognition and group processes. They cast a wide net in terms of the topics covered and challenged the authors to think about how their research applies to the management or mismanagement of knowledge in organizations. The volume is divided into three sections: knowledge systems, emotional-motivational systems, and communication and behavioral systems. A final conclusion chapter discusses and integrates the various contributions.